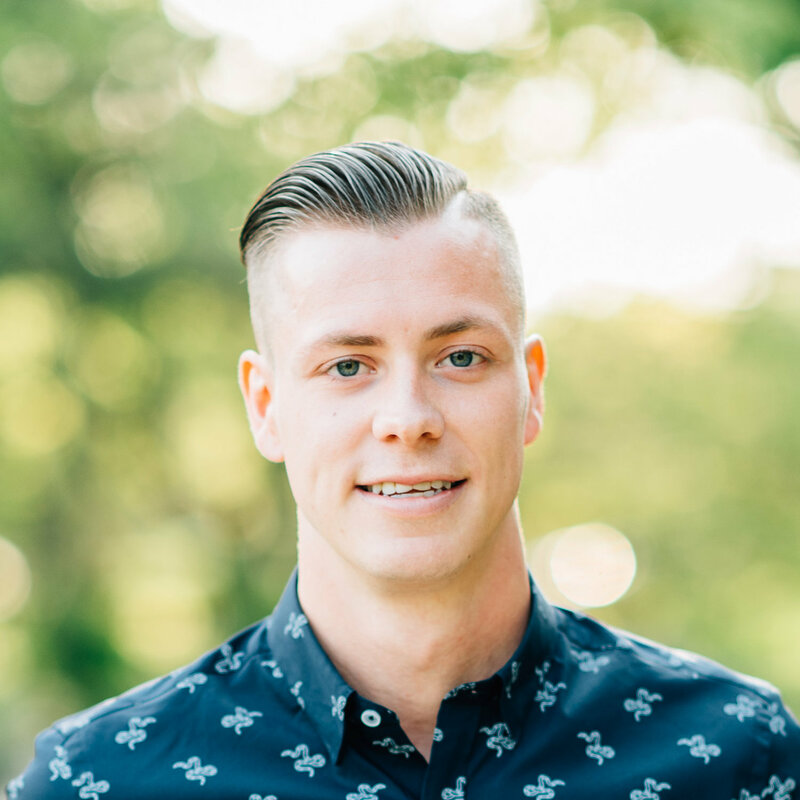 When you transition over to Sandbox Software from another child care software program or from manually tracking your information using programs like Word and Excel, you will need to choose a start date for when you will begin using Sandbox. Once you've set that date, you will need to enter in the details for all payers with a starting balance as of that date. This blog post shows you how to walk through the process of setting a starting balance for payers in Sandbox. 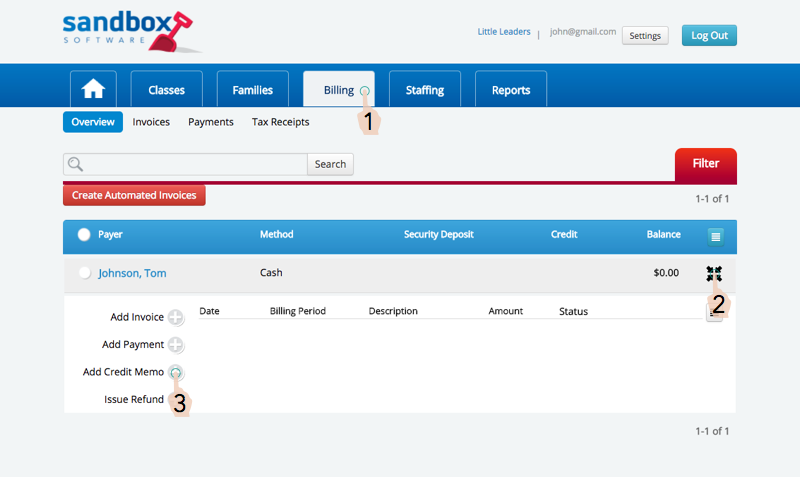 Click the Billing tab at the top of the screen to go to the Billing - Overview section. In the Billing Overview section, find the payer who you need to set a starting balance for. You can use the search option at the top to search for the payer by first or last name, or even by typing in their child’s name. Click the grey arrows on the right-hand side to expand and view the payer’s billing information. If the payer has a balance owing, click ‘Add Invoice’. Set the 'Invoice Date' to be the first day that you will begin using Billing in Sandbox. Select ‘Tuition’ in the Fee Type dropdown and in the comments section indicate that the invoice amount represents a starting balance for the payer. (i.e. “Starting Balance: January 1 - April 30”). Type in the total amount you have invoiced the parent for this year in the ‘Amount’ box and then click the ‘Save’ button at the bottom of the invoice. Then select 'Add Payment' and type in the total amount they have paid so far this year. Select the white circle beside the invoice number to apply the payment to the invoice and click the 'Save Payment' button. If they are fully paid up, their Outstanding Balance will be $0 and if they are not full payed up, you will see their Outstanding Balance. If the payer has a balance credit, click ‘Add credit memo’. In the ‘Amount’ box, enter in the amount that the payer has as a credit owing to them. In the comments section indicate that the credit memo amount represents a starting balance for the payer. (i.e. “Starting Balance: January 1 - April 31”). Then set the date to be the first day that you will begin using Billing in Sandbox. 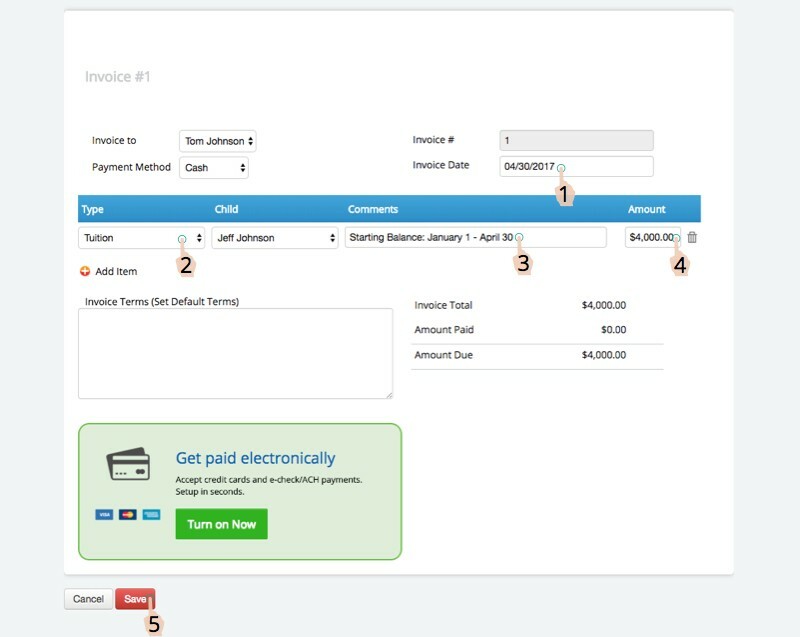 If you have already added invoices to the payers account, you can select to apply the payment against one of more of those invoices. If there are not any invoices on the account yet, it will just be left as a credit. Click the ‘Save Credit Memo’ button. Follow this process for all of your payers who have a balance owing or a balance credit. 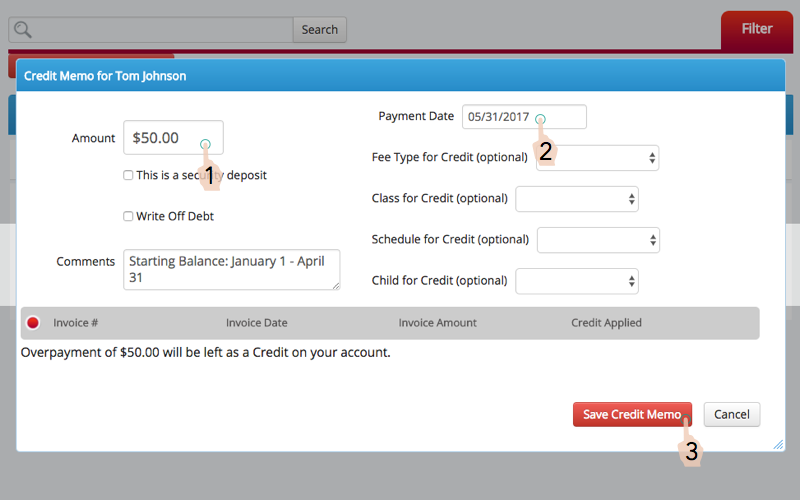 Once you've finished, you will be able to create invoices and add payments accurately moving forward.